What’s your relationship like with your Mum? I know that in the past I have found my Mum to be a really huge challenge. She used to make me feel so angry! But it was when I decided I needed to do something about my work-life balance that I decided I needed to change this relationship. I needed to make myself a lot less intense in my reactions to her. Now, within the meditation tradition I studied, we did a practice which boiled down to “don’t judge a man (or a woman) until you have walked a mile in their shoes”. So, I actually had to sit there and imagine what it would have been like to be my Mum as a young child, as a teenager, as a young mum. I had to think about the experiences that she went through. Would I have responded to them in any different way than she had done? Would I have turned out any differently if I had been through the same things she has been through? Now this has been the hardest meditation practice I have ever done. And, to be fair, it’s still one of my biggest mindfulness challenges. Trying to keep my cool with my Mum is still my best mindfulness muscle workout. Understanding my Mum has been the hardest meditation practice I’ve done ,,, and still is! I now do find it a lot easier that I used to. If you want to know a bit more of the story of how I achieved it then whiz yourself over to the blog The Mindfulness Guide to Mum and Dad. It would be great if let me know if anything that I have talked about resonates with you. 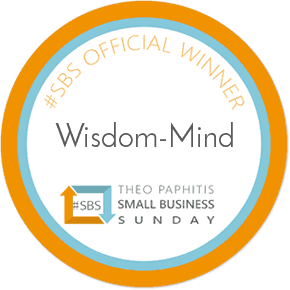 Theo Paphitis #SBS Official Winner!